The very high level of debt-free home ownership among current Australian retirees helps counterbalance their low average super savings, undoubtedly contributing to any sense of financial security. 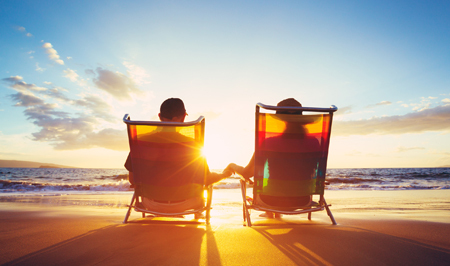 A recent Vanguard research paper, Retirement transitions in four countries, found that that 59 per cent of Australia's recent retirees surveyed believe they are highly satisfied with their current financial situation. This compares with 24 per cent with a medium level of satisfaction and 32 per cent with a low satisfaction level. In surveys of thousands of pre-retirees and recent retirees in Australia, US, UK and Canada, researchers recorded a marked improvement in financial satisfaction upon retirement. In short, recent retirees tended to be more confident and less anxious about their financial positions. It would be worthwhile revisiting this research project in a few years' time given reducing home ownership among Australians, particularly younger ones, together with rising mortgage debt among older homebuyers. Unfortunately, many more future retirees will begin their retirement with rent or outstanding mortgages to pay from their retirement savings and Aged pensions. Thorough long-term planning for retirement should take into account whether you are buying a home or if you are intending to do so – and how you intend to achieve those ownership goals. Ideally, any mortgage debt should be repaid along with other debts before retirement – hopefully well before. In theory, this will leave your retirement income to pay for your retirement living costs. And those who are not aiming to become home owners should take this into account when determining how much they need to save for retirement. Key research increasing highlights the relationship between financial wellbeing in retirement and home ownership. For instance, economist Saul Eslake wrote in a paper, No place like home – The impact of declining home ownership on retirement*, that Australia's retirement income system had long taken for granted that the vast majority of retirees would have very low housing costs. This was based on a presumption that most would own their own homes and have fully repaid their mortgages. However, Eslake believed this presumption had become increasingly doubtful. His paper pointed to the declining home ownership among people of working age, "especially those in their late 20s and early 30s". This trend was accompanied by the rising proportion of home owners in their late 50s and early 60s with outstanding mortgages. The latest Retirement expectations and spending profiles, from actuaries and consultants Milliman-Australia, calculates that retirees who rent privately will have to save much more superannuation to live the same lifestyle as retirees who own their homes outright. While only a relatively small percentage of current Australian retirees rent privately, Milliman also expects this to markedly change as levels of home ownership fall across age groups. The latest Household Income and Labour Dynamics in Australia (HILDA) survey from the Melbourne Institute shows that home ownership among people aged 18 to 39 years is down from 36 per cent in 2002 to 25 per cent in 2014. The decline in home ownership is largest among families with young children. Yet the levels of mortgage debt for this age group has almost doubled in that time, according to the HILDA survey, as housing prices have sharply risen and low interest rates have enabled buyers to take bigger mortgages. It would be difficult to understate the need to include retirement housing costs into your planning for retirement in order to avoid a future shock. * No place like home – The impact of declining home ownership on retirement, published in March by the Australian Institute of Superannuation Trustees.